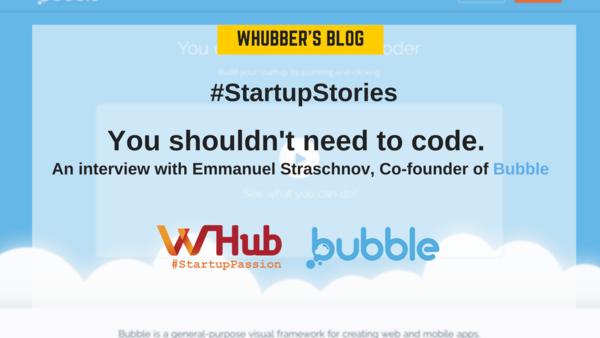 Startup Stories: You shouldn't need to code. "You don’t need to code to build your product." This is the belief of Bubble, a new way of programming without code. With Bubble, you can use a visual editor that allows you to build a user interface, design your application by dragging and dropping elements and program it with workflows. “The only way to prove them wrong and confirm that our idea works is by doing it,” Emmanuel says. 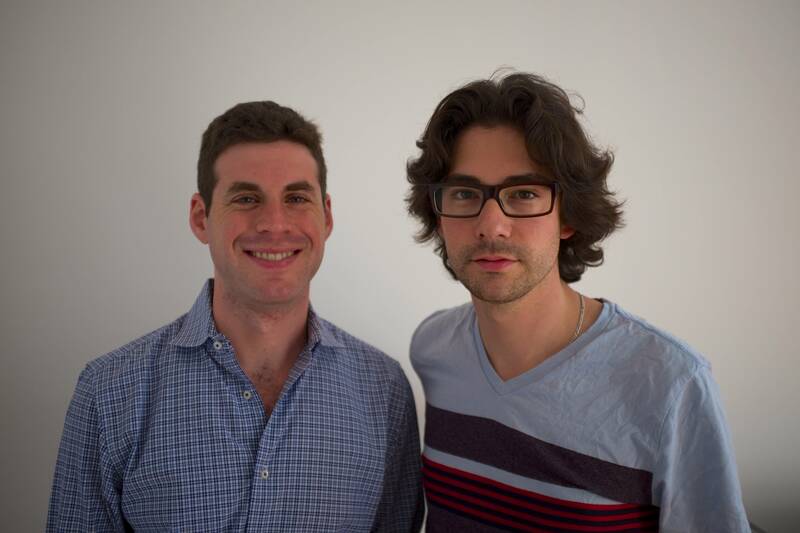 From this starting point , they began to build the platform to help all the entrepreneurs that don’t know how to code. “If you want to build a software without hiring technical resources, we are here for you,” he says. 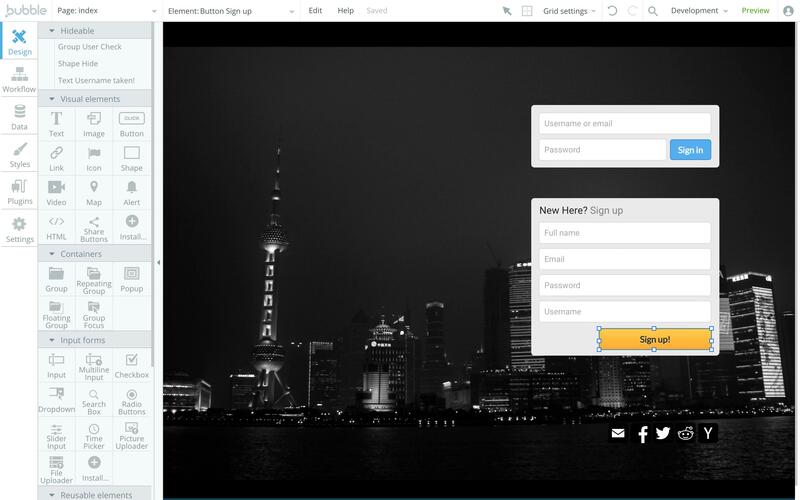 Different from other website building platforms in the market like Wordpress, Squarespace or Strikingly, Bubble allows its user to build a complete website, from defining data operation, building back-end system to connecting external services. 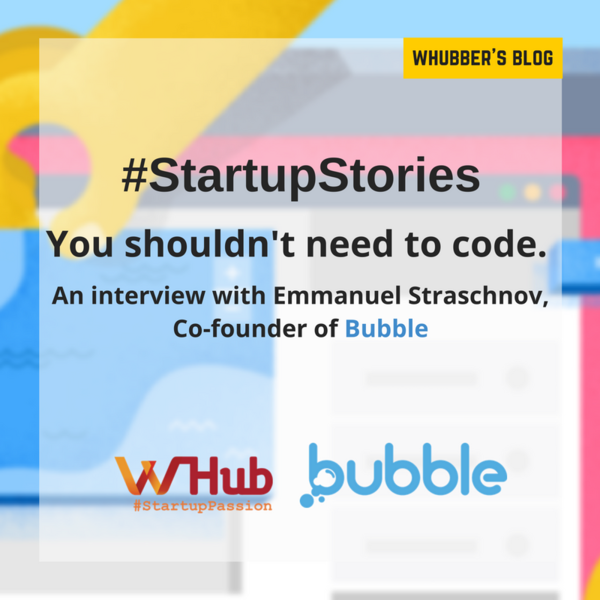 Emmanuel believes that Bubble users can launch faster, iterate faster and with less cost. “We want to close the gap between web design and web development,” Emmanuel added. “I actually wanted to work in the fashion industry initially,” says Emmanuel. Emmanuel finished his MBA at Harvard Business School, then worked at Prada as a special assistant to the CEO. However, he realized working in big companies might not be a good fit for him as the companies are already very established. So Emmanuel started to look at smaller companies and found the technical side of business interested him more. As a trained engineer, when he meet Joshua Haas, who had already started Bubble and was looking for a co-founder, Emmanuel happily joined him. Emmanuel says they are going to open up the Bubble platform in the coming year, which allows developers or users to code their own plugin. They will also launch a marketplace where people can sell or offer free plugins to the community, this will allow people to focus only on the new, core functionality of their product, and leverage Bubble’s library for other common features. 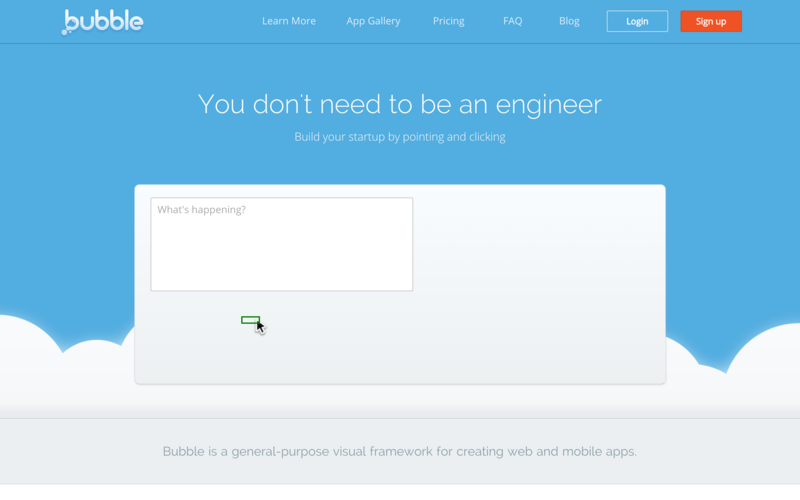 Bubble plans to launch a native support that allows users to build a native app within the same Bubble interface, for both iOS and Android. Talking about the future of programming, Emmanuel thinks that Bubble is going into the right direction. “Code will still be there, but only for new features and elements. The way it'll work is that business people will be building products themselves, and engineers will be there to solve harder, more complex problems that the product will require,” he points out. Emmanuel believes that Bubble can be the medium for developers and businessmen to communicate on how to improve the product by adding extra elements.